This time, we feature why "Blackout Wednesday" is a time bars and restaurants need to stock up and be well-staffed, emerging dining trends, the best cities for restaurants to be located, best vegetarian restaurants, the importance of responding to reviews, driverless cars and delivery and food trend predictions. While Black Friday is considered the biggest sales day of the year for big box retailers, the Wednesday night before Thanksgiving — deemed “Blackout Wednesday” in recent years — has become the same for local restaurant and bar owners. With practically everyone having Thanksgiving Day off of work and no reason to wake up before football games begin, it’s clear why this night has become a cultural phenomenon. To get an idea of just how much restaurants and bars throughout the country can expect to see their sales rise the night before Thanksgiving, restaurant management platform Upserve tapped into data from over 10,000 bars and restaurants to see just how much these customers are drinking—and what they’re ordering—on Blackout Wednesday to help restaurants prepare ahead of time. Beer and Booze‒it’s what their drinking: Data from 2015 to 2017 revealed that from the Tuesday to the Wednesday before Thanksgiving, there was a 63 percent increase in average liquor sales, a 68 percent increase in average beer sales and 62 percent in cocktail sales. But guests aren’t coming with big appetites for food: Despite the rise in drinking, food orders only increased by 27 percent, and comparing Blackout Wednesday to the Wednesday prior from 2015 to 2017, food units per check have historically decreased the night before Thanksgiving, from 1.25 units per check to 1.22 but booze increased. Bottom line for restaurateurs: Stock up on beer + liquor and make sure your bar is well-staffed on November 21. Euromonitor International published a new white paper, “New concepts in Foodservice: Best of 2018” highlighting emerging restaurant concepts around the world that explores four foodservice industry trends in the impacting consumers’ expectations regarding the dining experience. Food and beverage categories have seen a meaningful increase over the last two years, as many major retailers saw same store sales rise thanks to an increase in median income and a low unemployment rate, according to the TABS Analytics 6th Annual Food and Beverage Consumables Study. The study identified solid share gains for online grocery but found that the format is still a small player in the $800 billion industry, accounting for less than five percent of sales. Online Grocery Growing, But Nowhere Close to Success Threshold – Despite a 4-point year-over-year increase, the number of regular online food and beverage purchasers (defined in the study as six or more purchases per year) is still only 17 percent. Only 38 percent of consumers shop in the format even once, and well under half of the shoppers (44 percent) are loyal to the format. There’s no shortage of movies and TV shows about the plight of restaurant owners — their initial struggle and ultimate rise to success. But the restaurant industry can be punishing, leaving many entrepreneurs with only the effort and dashed dreams. LendingTree analyzed the 50 largest U.S. cities to see which offers prospective restaurateurs the best shot at success. Many top spots are in once-overlooked Midwestern cities now experiencing urban renewal. The least promising cities have historically been the restaurant industry’s most competitive. Eating out has long been an American pastime — and growing. More than one million restaurants operate in the U.S., generating $799 billion in sales. Restaurants are expected to create 1.6 million new jobs by 2027. But despite the size and scope of the industry, it remains a challenging landscape for business owners. Changing consumer tastes and purchase behavior, as well as rising labor costs, continue to put pressure on restaurant owners, who must evolve their business models, menus and technology to keep their doors open. Average estimated annual revenue: Using the reported monthly deposits of more than 5,400 restaurant owners who sought small business loans on the SnapCap by LendingTree business loan platform, we estimated their annual revenues and adjusted them based on prices in their particular city. For example, rent and labor in San Francisco are significantly higher than the same costs in Cincinnati, so raw revenues only tell part of the story. They normalized the revenues using the regional price parity index from the Bureau of Economic Analysis so that $10 in Cincinnati revenue represents the same buying power as $10 in San Francisco. The lowest-ranking metros in the study are cities with world-renowned restaurant scenes. The local restaurant industry is overcrowded in these places, making it difficult for new restaurant owners to be successful. In addition to the challenges brought on by location, new restaurant owners may have difficulty funding the operation as well. Obtaining financing can be challenging, especially if the owner has no previous experience owning or managing a restaurant, said Hunter Stunzi, senior vice president of small business at LendingTree. With interest in vegetarian and plant-based diets skyrocketing, more diners are seeking restaurants that cater to their herbivore needs. OpenTable released its 50 Best Restaurants for Vegetarians in America. Featuring restaurants coast-to-coast across 15 states and Washington, D.C., the list includes a variety of cuisines ranging from American to Indian to Mediterranean — perfect for vegetarians everywhere and even omnivores accompanying their veggie-loving friends. The 50 Best Restaurants for Vegetarians list is generated solely from more than 12 million verified OpenTable diner reviews for more than 28,000 restaurants in all 50 states and Washington, D.C.collected between September 1, 2017, and August 31, 2018. All restaurants with a minimum "overall" score and number of qualifying reviews were included for consideration. Qualifying restaurants were then scored and sorted according to the percentage of reviews for which "vegan" and "vegetarian" was selected as a special feature. Thousands of restaurants launch every year, but only ten remarkable destinations can call themselves Canada's Best New Restaurants. Air Canada and presenting partner American Express revealed its highly-coveted Top 10 list with The Restaurant at Pearl Morissette from Jordan, ON, placing atop the list as Canada's Best New Restaurant. 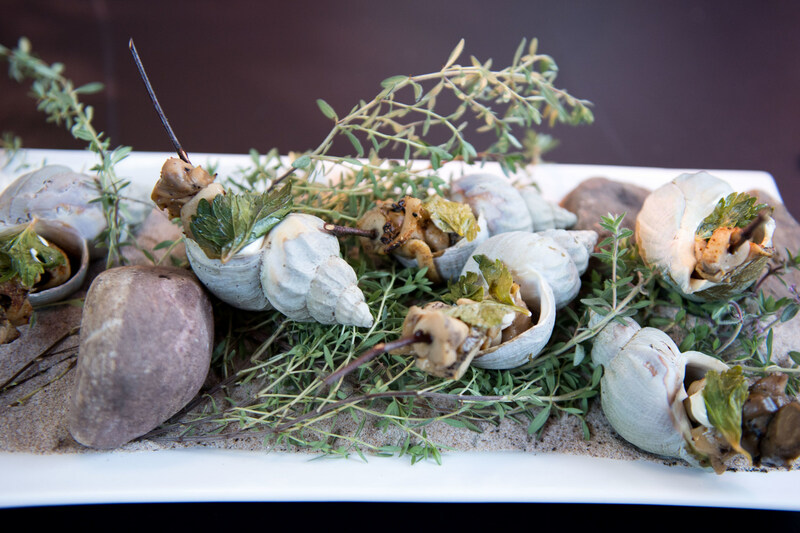 Located in wine country on the Niagara Peninsula, The Restaurant at Pearl Morissette has two chefs who serve an ever-changing, multi-course menu of locally produced and foraged ingredients inspired by seasonal French cooking. Coming in second is wine bar Vin Mon Lapin in Montreal, the latest installment from the city's Joe Beef team. Also hailing from Montreal is this year's third place winner, Italian eatery Elena from the founders of hot spot Nora Gray. To create the list of Canada's Best New Restaurants, a panel of industry experts considered every new bistro, pub and cafe to generate a delicious selection of restaurants for one writer to visit. This took the writer on a month-long quest from coast to coast to coast, sampling cuisine as diverse as Canada itself. The contest is sponsored by, American Express, Acura Canada, Diageo World Class Canada and Nespresso. "So many cities across Canada are now recognized as culinary destinations, inspiring both national and international travel. With Canada's Best New Restaurants, Air Canada is shining a well-deserved spotlight on the chefs who make our country one of the most diverse and desirable places to dine," says Andy Shibata, Managing Director, Brand, Air Canada. "For 17 years, Air Canada has celebrated the chefs and innovators who are putting Canada on the map and this year's Top Ten are welcome additions to this highly-coveted club." 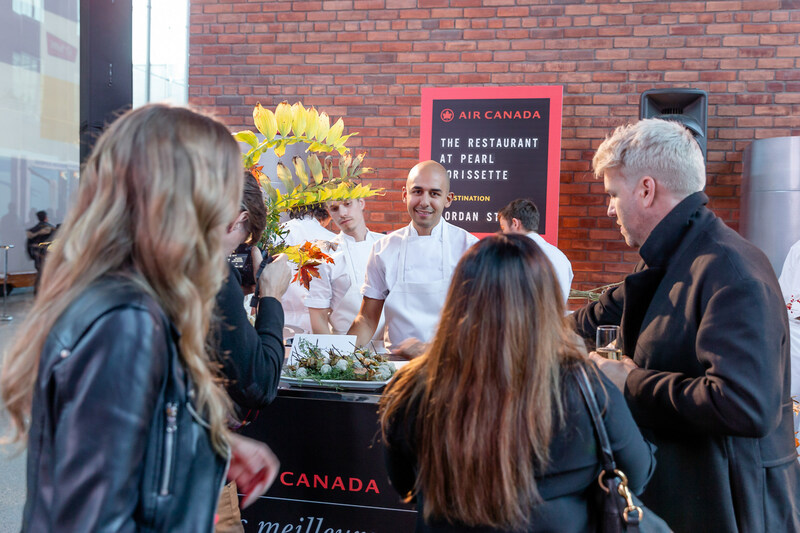 "As an ongoing sponsor of Air Canada's Best New Restaurants, we are delighted in this list, which inspires our Cardmembers with such evolution within Canadian cuisine," said David Barnes, VP of Communications and Advertising, American Express Canada. "Canada has an incredible restaurant scene and Amex Cardmembers rely on our brand to give them access to the best restaurants and chefs." A sense of playfulness and adventure abounds in Canadian restaurants — chefs are serving serious food without taking themselves too seriously. An ice cream sundae is the prized dessert at Aloette, and hoser-classic Labatt 50 is on the drink list at St. Lawrence. Elena's colourful jet-set décor hosts a pizza-focused menu groaning with puns, while Bündok, located in Edmonton's hopping young Ice District, grooves to a killer playlist curated by its snowboarding chef. The Restaurant at Pearl Morissette (Jordan, ON): Atop a massive black barn, the restaurant glows like a landlocked lighthouse on the Niagara Peninsula. The prix-fixe menu features ingredients largely grown or foraged from the surrounding land, with pairings drawn from the winery's holdings and like-minded makers across the globe. Vin Mon Lapin (Montreal, QC): The green of potted plants dapples the white walls of this Little Italy oasis, where stellar wines playoff layered flavours and textures. This spot serves a dazzling salad of endive, caramelized pumpkin seeds, pickled elderberries and shaved foie gras matches with the creamy minerality of a Loire Valley Domaine du Haut-Planty muscadet, while aromatic Jerusalem artichoke bread topped with sunflower crumble finds a partner in a sunflower butter. Elena (Montreal, QC): To see what's making Montreal buzz, step into the electric Italian-modern comfort of Elena, a pizza and pasta restaurant from the Nora Gray team. Chow down on pizza showered with six kinds of mushrooms, celery root and taleggio; and handmade tagliatelle with a robust pork and beef ragù. St. Lawrence (Vancouver, BC): This cozy, teal-panelled spot excels at fat tranches of smoked-ham-studded pâté en croûte accompanied by two kinds of mustard and bottomless crocks of cornichons. A must try is the sautéed sweetbreads with mashed potatoes and morels that are doused with a deep, savoury jus. Giulietta (Toronto, ON): Sip on low-alcohol amaro spritzes amid Italian-wool-covered walls, the hip and beautiful come to this west-end outpost for its combination of painstaking technique and robust, elegant flavours. They serve up a beautiful plate of fork-tender goat which undergoes a four-hour braise before appearing atop a creamy pool of polenta that tastes both of butter and chicken broth. Aloette (Toronto, ON): The casual dishes served reveal a serious attention to detail: wedge salad with thin slices of avocado and a sprinkle of crunchy wild rice, pumpkin seeds and soy beans, torched scallops with wasabi peas and a burger enriched with brisket and pungent Beaufort cheese. Avenue (Regina, SK): The super-tight chef-bartender team behind Ayden in Saskatoon touches down in a city centre heritage building. Their menu consists of tender seared Diefenbaker trout preens on a creamy bed of fresh peas, asparagus and three-grain risotto and a raspberry soufflé. Bündok (Edmonton): Catch a chef on the rise at this dark-wood-accented downtown space. Don't miss out on their glistening slices of fruity, olive-oil-painted sea bream crudo that are showered with diced apple and Thai basil, brought into vivid relief with orange flecks of bird's eye chili. Sand and Pearl (Picton, ON): Feast on Fogo Island crab legs, buttery lobster rolls on pain au lait and Manitoulin Island trout niçoise salad that pops with pickled green beans and lemony crème fraîche. Wash them down with Parsons Hula Hoop Sour beer or a Huff Estates pinot gris. The Courtney Room (Victoria, B.C. ): Steak and seafood get dressed up at this serene Victoriasanctuary outfitted with a creative charcuterie cabinet. Their duck breast is aged for two weeks to deepen its flavours, then seared and nestled among Tokyo turnips and braised daikon – perfect with a plummy B.C. Lock and Worth merlot. Readers can view the full story and find out more about the winners in the pull-out dining guide in the November issue of Air Canada enRoute magazine and online at CanadasBestNewRestaurants.com. Uberall, Inc., announced the results of its “Customer Review Report,” analyzing how consumers evaluate reviews online. For the study, Uberall commissioned a survey of more than 1,000 consumers throughout the U.S. The study was conducted from October 1-5, 2018. While consumers are the ones posting online customer reviews, brands are closely monitoring what’s being said. But should they actually respond to reviews? Sixty-five percent of respondents believe that they should respond every time, whether the review is positive or negative. In addition, 18 percent believe they should respond only when the review is negative, while 10 percent feel they should never respond and six percent think they should only respond when the review is positive. “It’s critical for brands to have a proactive voice in these conversations,” said Josha Benner, Uberall Co-Founder. The idea of what constitutes a positive review varies. Uberall’s discovered that 39 percent consider “4.0 and up” a positive review. Other responses include: “3.5 and up” (20 percent), “4.5 and up” (15 percent), “5.0” (13 percent), “3.0 and up” (8 percent), “1.5 and up” (3 percent), “2.5 and up” (2 percent) and “2.0 and up” (1 percent). Pizza and college go hand in hand, but after you graduate you don’t have to settle for the cheapest possible option. 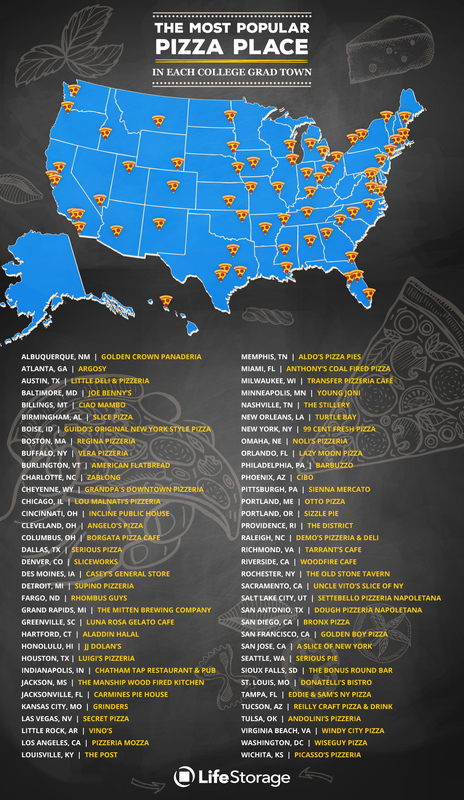 A new study determined the best local pizza place in every city popular among recent grads. The analysis identified the #1 restaurant based on average Yelp rating, number of reviews, menu cost, and how late it stays open. The results are visualized across the nation as well as by region. 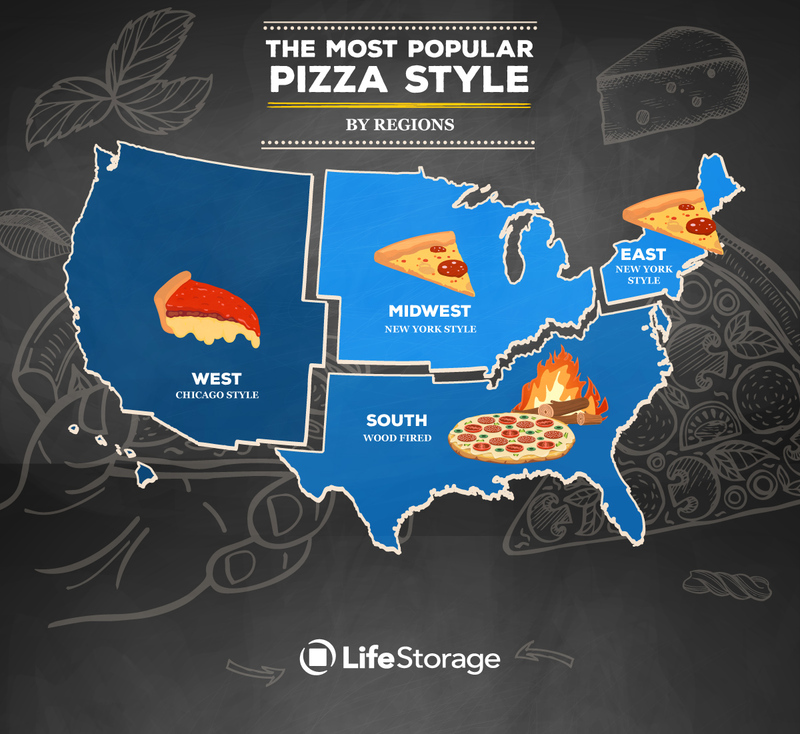 The most common styles among the top pizza shops are New York (18 pizza places), wood fired (9), and Neapolitan (6). Kroger listed food trend predictions for 2019, curated by its team of Our Brands new product developers, chefs and innovators, focusing on flexible eating styles. No matter the preference or practice, the latest tastes and trends can be found in the aisles where customers shop for Simple Truth®, Kroger's natural, organic and free-from brand, Kroger®, Where Awesome Meets Affordable™, and Private Selection®, a collection of culinary creations designed to elevate every occasion. Foods influenced by regions across the country are bringing flavor and fun to any meal. From tried-and-true barbecue sauces and flavorful potato chips with a twist – inspiration is coming from Nashvillehot chicken, Southern Appalachian pimento cheese and other geographies. America's culinary heritage is as varied as it is delicious. Consumers will see a growing number of products influenced by local, regional and global tastes. McDonald's has embarked on an ambitious plan of designing more than 95 percent of its 1,800 new restaurants in China to meet the ‘LEED’ and ID+C certification standard issued by the US Green Building Council. The move further reinforces the quick-service restaurant giant’s commitment to sustainable growth, says GlobalData, a leading data and analytics company. According to the company’s 2016 Q3 consumer survey, environmental concerns are now at the forefront of consumers’ minds, with 75 percent of global consumers believing that ‘living an ethical and sustainable lifestyle’ is important or very important to their wellbeing. Though McDonald’s was once a poster child for environmental and health issues, coming under public pressure from consumers and environmental groups in the late 1980s, it was also the first major foodservice chain to enter into a partnership with Environmental Defense Fund to reduce packaging and waste. Through these efforts, McDonald’s eliminated more than 300 million pounds of packaging and reduced restaurant waste by 30 percent over the following decade. Since then, McDonald’s has continued to establish itself as a leader in environmental practices, setting standards for the foodservice industry as a whole. This is, in turn, incentivizing its competition to follow suit and treat sustainability as an essential component of strategy and planning for the future. Earlier this year McDonald's announced its intention to get 100 percent of its packaging from renewable, recycled or certified sources by 2025. In July 2018, McDonald’s and Starbucks indicated that they would team up with Closed Loop Partners to develop a cup that could be mass produced from recyclable and/or compostable materials. Driverless cars will disrupt the food and drinks industries in the next ten years, according to a new future-focused service from industry websites just-food and just-drinks. The inaugural FUTURES report has found that the use of autonomous vehicles in grocery delivery will change the look and feel of food and drinks products as packaging evolves to become smart and lightweight. However, as part of the in-depth analysis, auto industry experts warned that the technology needed to make driverless vehicles an everyday reality is still a way off. The report explores the current pilot schemes between retailers and autonomous car firms and the mega trends propelling the move towards automated grocery delivery. The report also features consumer insights experts and their work examining how people feel about the prospects of 'last yard' delivery as well as specialist insight from the auto industry on the reality of driverless vehicles. Speaking about the new report, FUTURES editor Lucy Britner said: "The prospect of fully-automated vehicles delivering grocery products directly to our homes may be a few years away, but as more and more retailers begin to invest in pilot schemes it is important to look at how food and drinks companies can start to prepare. "This is the first in a series of future insights reports, designed to look at what will disrupt the food and drinks industries and offer insight into what businesses can start to do now." FUTURES was launched in October 2018 by just-food & just-drinks' parent company Aroq. Starting with a series of digital magazines, the FUTURES service will cover everything from new technologies to emerging consumer trends. Aroq CEO Richard Jackson said: "We live in a time of unprecedented and rapid change. It is becoming more challenging than ever for businesses to navigate their way through disruption. "We have launched the FUTURES service to help the food and drinks industries look beyond the five-year horizon and prepare for doing business in a whole host of new environments." Do Paper Towel Dispensers in Public Restrooms Waste More Product than Necessary? Nearly three in five Americans (57 percent) believe paper towel dispensers in public restrooms usually waste more product than necessary, according to a recent survey commissioned by Sofidel, a leading global provider of paper for hygienic and domestic use. The survey was conducted online by The Harris Poll from August 17-23, 2018 among 2,038 U.S. adults ages 18 and older and also revealed how many Americans admit to using more paper towels than necessary. The survey also found that about 1 in 4 Americans (24 percent) say they take more paper towels than needed when using paper towels to dry their hands in a public restroom. Men are more likely than women to take excess paper towels, with 29 percent saying they had taken more paper towels than needed, while only 20 percent of women have done so. This survey was conducted online within the United States by The Harris Poll on behalf of Sofidel from August 17-23, 2018 among 2,038 U.S. adults ages 18 and older. This online survey is not based on a probability sample and therefore no estimate of theoretical sampling error can be calculated. For complete survey methodology, including weighting variables and subgroup sample sizes, please contact jmessenger@mulberrymc.com. Allied Market Research published a report, titled, "Food Flavors Market by Type (Natural and Artificial) and End User (Beverage, Savory & Snack, Bakery & Confectionery, Dairy & Frozen Product, and Animal & Pet Food): Global Opportunity Analysis and Industry Forecast, 2018-2025". The report offers in-depth insights on the key investment pockets, top player positioning, drivers & opportunities, major market segments, strategic developments, and competitive landscape. According to the report, the global food flavors market was pegged at $13.17 billion in 2017 and is expected to reach $20.11 billionby 2025, registering the CAGR of 5.4 percent through 2025. Rise in consumer inclination toward natural food products and increase in novel ways to develop innovative formulations such as natural food flavors extracted from exotic fruits drive the growth of the global food flavors market. In addition, adoption of new and advanced technologies such as solid-liquid extraction (SLE) and supercritical fluid extraction for easy extraction have supplemented the market growth. However, stringent government regulations and adverse effects of synthetic flavors on human health hamper the market growth. On the other hand, innovations in flavors and surge in demand across emerging economies are expected to create lucrative opportunities for the market players in the coming years. The natural food flavors segment is anticipated to manifest the fastest CAGR of 9.0 percent from 2018 to 2025, owing to rise in demand for unique & exotic flavors, unusual flavor combinations, and awareness regarding the side effects of artificial flavors such as dizziness, nervous system depression, fatigue, nausea, and others. However, the artificial food flavors segment held the largest market share, contributing more than half of the total market revenue in 2017. The savory & snacks segment is expected to register the fastest CAGR of 6.3 percent during the study period, owing to rise in prevalence of ethnic drinks and food products and westernization of diets in the emerging countries. However, the beverages segment held the largest market share in 2017, contributing about 25 percent of the total revenue, owing to technological advancements in manufacturing processes and rise in demand for fruit-flavored drinks. The other segments analyzed in the report include dairy & frozen products, bakery & confectionery, and animal & pet food. Asia-Pacific region accounted for about one-third share of the market, owing to rise in consumption of beverages, dairy, confectionery, and bakery products in the region. However, Latin America would portray the fastest CAGR of 6.1 percent during the forecast period, owing to increasing demand for safe and effective natural flavors and growing acceptance for natural flavors among consumers. The other regions analyzed in the report include North America, Western Europe, Eastern Europe, Middle East, and Africa. The key market players analyzed in the report are Kerry Group, Plc., Firmenich, Sensient Technologies Corporation, Hasegawa Co. Ltd., Takasago International Corporation, Huabao International, Givaudan, Symrise AG, Frutarom Industries, International Flavors & Fragrances Inc., and Wild Flavors. These players have adopted various market strategies such as partnerships, collaboration, mergers & acquisitions, new product launch to strengthen their foothold in the industry. With fun-sized chocolate and candy flying off the shelves as Halloween creeps up this week, it seems Americans are looking for more ways to treat themselves to bite-sized chocolate year-round. Just in time for Halloween, new research from Mintel reveals that US chocolate buyers* are most likely to say they would like to see more chocolate in mini-sized bars or bites (49 percent). Although nine in 10 (90 percent) chocolate buyers agree that it’s okay to indulge occasionally in chocolate, 63 percent say it’s important to limit chocolate consumption. Fun-sized varieties could be just what consumers are looking for to help them cut back as three quarters (75 percent) say that single-serving or bite-sized chocolate is a good way to do so. While nostalgia has 63 percent of chocolate buyers reaching for the same kinds of chocolate today that they did as a kid to satisfy their sweet tooth, there is an opportunity for premium and innovative varieties to own a larger share of the market. More than three quarters (76 percent) of chocolate buyers say that it’s worth it to pay a little more money for premium chocolate. What’s more, among the top types of chocolate products chocolate buyers would like to see more of are unique sweet flavors (31 percent), savory flavors (29 percent) and those with functional benefits such as truffles with good fats (30 percent) and added protein (18 percent). Overall, total US retail sales of chocolate confectionery are estimated to have grown 15 percent since 2012 to reach $18.5 billion in 2018. Seasonal chocolate is the fastest growing segment, with sales forecast to reach $3.9 billion in 2018 and growing 29 percent since 2012. It seems Americans will be indulging in less candy (non-chocolate confectionery) and more chocolate this Halloween. While chocolate buyers are more more likely to say that they’re buying more chocolate in 2018 than a year ago (21 percent vs 17 percent buying less), candy may be making it into less trick or treat bags. More than one quarter (27 percent) of non-chocolate confectionery consumers say they’re eating less candy today than last year (vs 15 percent eating more). While reducing sugar (61 percent) and calories (44 percent) are the leading reasons why consumers are eating less candy, they are embracing the category’s indulgent side. In fact, non-chocolate confectionery eaters are more than twice as likely to say that it’s important for non-chocolate candy to look indulgent (33 percent) than for it to be low/no sugar (14 percent). For many, ignorance is bliss when it comes to candy’s healthfulness as under one in five (18 percent) candy eaters say they read the nutritional information on non-chocolate confectionery. Health concerns aside, it seems most kids across the country will get to indulge in their hard-earned candy this Halloween. Mintel research reveals that less than half (42 percent) of parents who eat candy say that they limit the amount of candy that their kids eat. Parents of younger kids are keeping a more watchful eye as the percentage rises to 53 percent of parents of kids aged 5 and under. Despite the fact that some consumers are eating less candy, product innovation has helped the category see sales growth over the last six years. Total US sales of non-chocolate confectionery are estimated to have grown 15 percent since 2012, reaching an estimated $8 billion in 2018, driven by chewy candy—the fastest growing segment. Sales of chewy candy are estimated to reach $4.3 billion in 2018, a 36 percent increase since 2012. New product development has helped the chewy candy segment see sales rise as new product launches of chewy candy in the US grew 83 percent over the last five years**, according to Mintel Global New Products Database (GNPD). “Sales growth in the non-sugar confectionery category has slowed over the past five years as health concerns rise, but has stayed afloat as consumers continue to value the indulgent side of candy. Chewy candy specifically has sugar coated the category’s slowed growth as a result of strong innovation efforts from brands in the segment. To increase consumption, non-chocolate confectionery brands should focus efforts on encouraging permissible indulgence through sugar reduction and adding premium offerings, such as new flavors and textures, to their product lineup,” concluded Bloom. Leading market research firm Packaged Facts estimates total retail dollar sales of the U.S. chocolate candy market will reach $23 billion in 2018, with sales increasing at a compound annual growth rate (CAGR) of more than 2 percent between 2013 and 2018. The market estimates are featured in the recently published report Chocolate Candy: U.S. Market Trends and Opportunities, 12th Edition. The report is the first in a trio of studies by Packaged Facts on the U.S. confectionery market, including upcoming reports on chewing gum and non-chocolate candy. "The chocolate market is indisputably dynamic with a strong pace of innovation, an influx of creative new players, and a steady flow of new products that engage diverse groups of consumers," says David Sprinkle, research director for Packaged Facts. "There remains consumer devotion to confectionery products and the role of chocolate candy in particular as an accessible luxury, creating many opportunities to trade consumers up to premium products." Indeed product premiumization has emerged as a key driving force in the industry's growth, especially as consumers have discovered the ever expanding selection of premium, indulgent confectionery products available online. "Online shopping is truly the new playground for premiumization," says Sprinkle. "Shifts in shopping behavior such as self-checkout and online purchasing have potentially dampened the types of in-store impulse purchases that traditionally drive a high level of chocolate sales. However this is offset to an extent by ecommerce increasing the availability and purchasing of specialty products including local, nostalgic, and premium gift chocolates." As to be expected, seasonality also influences consumer purchases of candy and other snack foods. Sales typically spike around holidays due to the common practice of gifting and consuming snacks as part of these celebrations. These factors, coupled with a steadily rising population, confer stability to a U.S. chocolate candy market that is mature yet growing. Packaged Facts estimates that Holiday/Seasonal chocolates account for about a quarter of the market's sales. Easter is the largest segment followed by Christmas, Valentine's Day, and Halloween. US demand for tableware and kitchenware is projected to increase 1.3 percent annually in nominal terms through 2022, according to Tableware & Kitchenware: United States, a report recently released by Freedonia Focus Reports. Increased interest in at-home cooking, partially driven by meal kit services, will boost revenues. Continued growth in disposable personal income, foodservice industry revenues, new marriages, household formation, and home sales will also contribute to gains. However, a highly competitive market caused by the entrance of several new companies utilizing a direct-to-consumer business model will limit further growth. Grocers should stay out of politics. That is one of the main takeaways from TrendSource’s recently-released 2018 Grocery Industry Report which found that grocers are nearly ten-percent likelier to take a hit from supporting a candidate that consumers oppose than they are to get a boost from supporting one consumers also support. Indeed, consumers’ opinion of stores is more significantly impacted when the store’s politics clash with their own than when they align. Obviously, in this politically-charged moment, grocers and other retailers face questions about the intersection of politics, ethics, and commerce, but TrendSource’s data suggests the answer should be easy. With consumers nearly ten-percent likelier to be negatively influenced by grocers’ political alignments than positively, the math is simple—politics doesn’t pay. The report, which surveyed 1,116 US consumers in May and June of this year offers generational, income, dietary, gender, and community segmentations, offering some further insights into this political question. For example, a store’s politics matter more to respondents who self-identify as urban than it does to those who self-identify as rural. There can be many potential explanations for why urban respondents were ten percent likelier to react to grocers’ political alignments than their rural counterparts, but regardless of reasoning, stores should stay out of politics in both community types. Foodservice delivery sales grew by 20 percent over the past 5 years and riding on this boom is portion-control salad dressing, a delivery order staple. Gallons of portion-control salad dressing shipped by broadline foodservice distributors to commercial restaurants increased by 17 percent in the year ending June 2018 compared to same period year ago, reports The NPD Group. Not surprisingly portion-control salad dressing had its highest gains through the quick service channel, which represents over 80 percent of foodservice delivery orders. Gallons of portion-control salad dressing shipped to quick service outlets increased to 26 million gallons in 2017, driven by gains at large QSR chains, according to NPD’s Foodservice Future Views, which sizes operator foodservice purchases by product categories. Ranch-homestyle and ranch-buttermilk are among the two most popular dressing flavors and both grew by double-digits, as did Vinaigrette-balsamic and Caesar. By label type, operator and manufacturer labels represent the largest share of portion-control salad dressing shipped, with operator label providing the steepest growth of the two. Additionally, some brands offering portion-control salad dressing realized double-digit gains in gallons shipped. “Portion-control salad dressing is one example of the categories benefiting from the foodservice delivery boom,” says Annie Roberts, vice president, SupplyTrack, The NPD Group. The U.S. online ticketing market size is anticipated to reach USD 6.23 billion by 2025 due to increasing penetration of smartphones and rising disposable income levels. In addition, growing number of Internet users in the country is likely to have a positive impact on market growth over the next few years. Rapidly growing entertainment and sports industries in the country is bolstering the U.S. online ticketing market. Furthermore, the industry is projected to benefit from decline in offline modes of shopping and booking tickets. Shifting consumer preference from offline to online methods, due to various benefits such as time and cost saving, is also contributing toward market development. Growing interest of investors in mobile application development for improved consumer experience and convenience is likely to provide many opportunities for the U.S. online ticketing market. Increased usage of social media platforms is also projected to spur market development as these platforms enable ticket booking process using integrated ticket system, making online shopping more convenient and easier. This scenario is expected to boost market growth in U.S. The online ticketing industry is projected to expand at a healthy CAGR owing to major shift from paper tickets to online ticketing options. The industry is segregated into three main categories comprising of music concerts and events, sports events, and others. The others segment, which consists of movies and other recreational activities, led the overall market owing to rapid growth in the entertainment sector. Online ticketing platforms offer users detailed information about locations, most suitable prices, and availability of seats without any inconvenience. Due to all these advantages, more people are opting for online ticketing systems, which, in turn, drives growth. Availability of digital payment options is also playing a crucial role in market expansion. Some of the prominent companies operating in the U.S. online ticketing market are Ticketmaster Entertainment, Inc.; Live Nation Worldwide, Inc.; StubHub; MovieTickets.com, LLC. ; and Razorgator. These companies are concentrating on various marketing strategies, e.g. offering additional services, in order to improve sales. For instance, Movietickets.com allows its customers to discover nearby movie theaters. Live Nation not only provides online ticketing options but also provides time and venue details for approaching events organized across the globe. Nearly two-thirds of social media users report they use YouTube (63 percent) and Instagram (61 percent) more in 2018 than 2017, compared to 52 percent who say they use Facebook more this year. Eighty-two percent (82 percent) of people use Facebook, compared to 75 percent who use YouTube and 53 percent who use Instagram. Social media is part of most people’s everyday lives: 86 percent use it daily, and 72 percent use it multiple times per day. Most social media users access social media from mobile apps (67 percent) and computer web browsers (57 percent). Seventy-five percent (75 percent) of women use social media multiple times per day, compared to 64 percent of men. IDology, a pioneer and trusted leader in identity verification, authentication and fraud prevention, today released its Sixth Annual Fraud Report, confirming the growing importance of balancing customer friction and fraud prevention, cited by businesses this year as the number one challenge in fighting fraud. 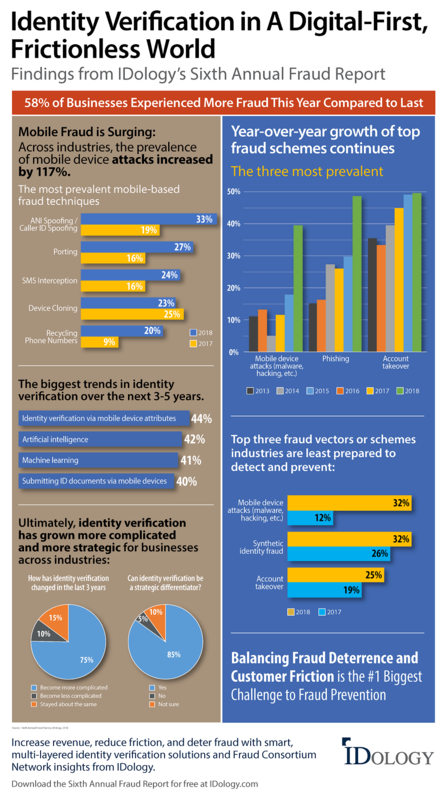 The report reveals a surge in mobile and phishing fraud schemes, a focus on artificial intelligence and machine learning as the growing trends in identity verification, and the strategic role identity verification plays in the quest to gain a competitive edge, retain and attract customers, and increase revenue. "The prevailing mindset that in order to keep fraud out, the customer verification process has to be made more difficult is quickly becoming outdated," said John Dancu, CEO of IDology. "In our modern connected world, it's no surprise that fraud is on the rise and becoming more sophisticated. Winning businesses will be the ones that take a strategic approach to identity verification with the realization that they can offer frictionless customer convenience and effective fraud deterrence to ultimately cultivate customer trust." Credit card fraud and account takeovers remain the most widespread forms of fraud, but phishing schemes and mobile fraud have surged. The prevalence of mobile fraud surged dramatically with an increase of 117 percent over the previous year (one of the highest year-over-year increases among the fraud vectors measured this year in the survey). The number of businesses that feel their industry is least prepared to detect and prevent mobile device attacks increased 167 percent compared to a year ago. Businesses reported a 63 percent increase in mobile fraud. All types, including porting, spoofing, hacking and fraudulent change events, are on the rise. Caller ID spoofing increased by 74 percent, porting by 69 percent and SMS interception by 50 percent compared to 2017. Phishing, which can be linked to 93 percent of last year's security breaches and has steadily risen each year, increased in prevalence by 66 percent. "We are at a crossroads where the movement to mobile meets high consumer expectations and sophisticated fraud schemes," said Julie Conroy, research director for Aite Group's Retail Banking & Payments practice. "Identity verification is now something that businesses must consider as a key strategic factor for market differentiation and growth. A seamless, comprehensive and multi-layered approach with an anti-fraud consortium network of companies across industries is now table stakes." Once thought of as a compliance checkbox measure, 85 percent of businesses now consider identity verification a strategic differentiator due to rising, more sophisticated forms of fraud, competitive pressures and consumer expectations for fast, easy digital onboarding. For 75 percent, identity verification has become more complicated in the last three years. Companies are realizing the need to move toward more robust and comprehensive multi-layered identity verification solutions that examine a full spectrum of identity attributes. They see the utilization of mobile device attributes for verification, artificial intelligence, machine learning and mobile document capture as the most impactful new trends in identity verification. Across industries, businesses feel particularly unequipped to handle synthetic identity fraud, mobile fraud and account takeovers. For additional insights into fraud trends across a variety of industries and firsthand perspectives shared by executives on the front lines of fraud prevention, download the full Sixth Annual Fraud Report. Now in its sixth year, the report captures the impact of fraud on leading companies across multiple industries including financial services, healthcare, insurance and ecommerce. Respondent titles and areas of responsibility include senior leadership, vice presidents, directors, managers and analysts in risk, fraud, compliance, product and operations departments.